It is very important to have a strategy for developing new products. Many products fail and in order to keep expanding company sales, we must have new products. Some products of Hindustan Lever have failed, but still they remain leading manufacturers because they have continuously added to their lines and added product lines to their product mix. Their 'Hima' peas introduced in the 60's flopped, because, in the words of the Chairman of Hindustan Lever, 'India is not yet ready for convenience foods, neatly done up in packages.' 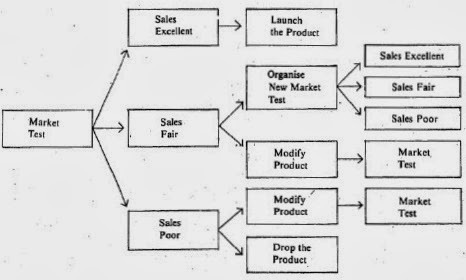 The product 'concept' requires testing before one goes into product designing and it is very necessary to have an adequate strategy for developing new products and introducing them. Several stages must be defined. 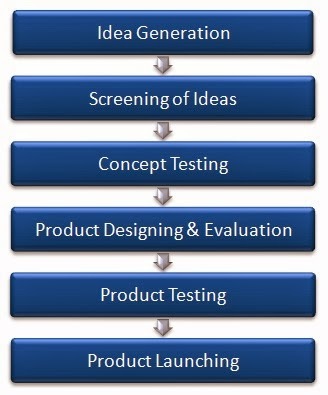 Figure I gives the stages in new product development. These will now be discussed in detail. The first step obviously is to get ideas with regard to possible new products. Think of the sources from which you can get such product ideas? Your answer shown; have been: Customers, Company Salesmen, Competitors, Company Executives, Employees within the organisation including technical people. As marketing is aimed at satisfaction of consumer needs, an alert marketer can get some ideas from the customers for possible new products by keeping his eyes and ear open and more particularly the mind to perceive even needs which are so far unexpressed. For example, in case of refrigerators, someone conceived the idea of having a `two-door' refrigerator, another conceived the idea of the ball point which obviated the need for constantly filling fountain pens. Thus, new ideas can come from customer needs or problems requiring solution. Company salesmen are in an excellent position to help. This is because they are in constant touch with the market, that is, both consumers and competitors. Watching competitors and what they introduce can also be useful for new ideas. Finally company executives and even the lower staff can be brought in for discussions. The Interesting method here is what is known as brain storming. This is basically done to have a flow of ideas-good and bad. A number of people, say executives of the organisation, are called together and asked a question for new ideas or ideas for new products. They are asked to mention it without evaluation. None is criticised. The answers are recorded on a tape recorder so that the flow is not interrupted. Thereafter, the answers generated are evaluated as will be explained in the next stage. The introduction by Parle's of the 'Big Bite' (the hamburger) did fail in some of the regions in Indian market. Was this due to wrong concept? The answer is probably in the negative. The failure was because the customer got ‘soggy' hamburgers at the retail end. Thus there was lack of ‘quality control' at the level of the retail outlets which did not supply freshly cooked hamburgers. So you can see that even if the concept is accepted, a failure can take place in other areas resulting in the ultimate failure of the product itself. This did not deter the company from going further. Parles' introduced Frooti and Appy which are fruit based soft beverages. These are offered in tetra packs. Thus there is an innovation. The question of whether tetra-packs, as packaging material, will succeed in India or not is a question of concept testing of the package. If the product idea or the concept passes the test, we then proceed to the engineering or the production or the R&D stage. So far what we had was only a description or an idea. Now this has to be converted into a product. Prototypes are developed and tested. The test can be done under laboratory or field conditions. At this stage of product development, the technical problems, if any, must be solved. This is because the product must not suffer from complaints regarding quality in use. Even a small defect might shorten the life cycle of the product as well as spoil the company's image. 6) Effective packaging and branding. A market test should, therefore, be conducted before launching the new product. This will help us find out whether the product can be launched successfully on a commercial scale or not. It may show that the sales are ‘excellent', in which case, our decision is easy and we can proceed to launch the product. As against this, if it shows that the sales are ‘poor', there are generally two alternatives available from a practical viewpoint. We can drop the product or modify it and test it again. If the sales are ‘fair', we may modify the product or conduct a new market test. The latter is done when we feel that perhaps there is something wrong with the market test just completed. An alternative, generally available, is to modify the product in terms of the feedback which has been received from the market test, and then test again before the final decision is taken to launch the product commercially or to drop it. One must, however, remember that constant testing involves further costs. A decision must, therefore, be arrived at as early as practicable. Hence we can say that the introduction of a new product is not an easy decision. It has to be weighed very carefully in terms of possible markets, the costs involved and the potential profits. The question of timing, sometimes, is also relevant. Should the company be the first one to offer a new ‘novel' product in the market? In case of small companies, if they do so, they are at a distinct advantage. However, large companies can afford to wait. For example, Philips entered the Stereo Hi-Fi system market relatively later. However, they were able to introduce an attractively priced product, and quickly gained product acceptance because of their long-standing reputation in the market.